The strongest testament to our capabilities is the work we’ve done. 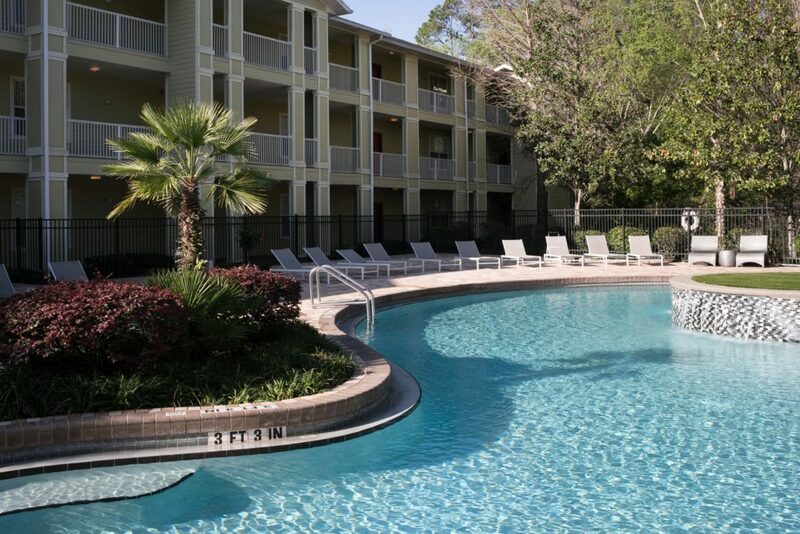 We’ve worked with residential and commercial customers, large and small. With a mind for the functional and an eye for the aesthetic, we create custom solutions for our clients. 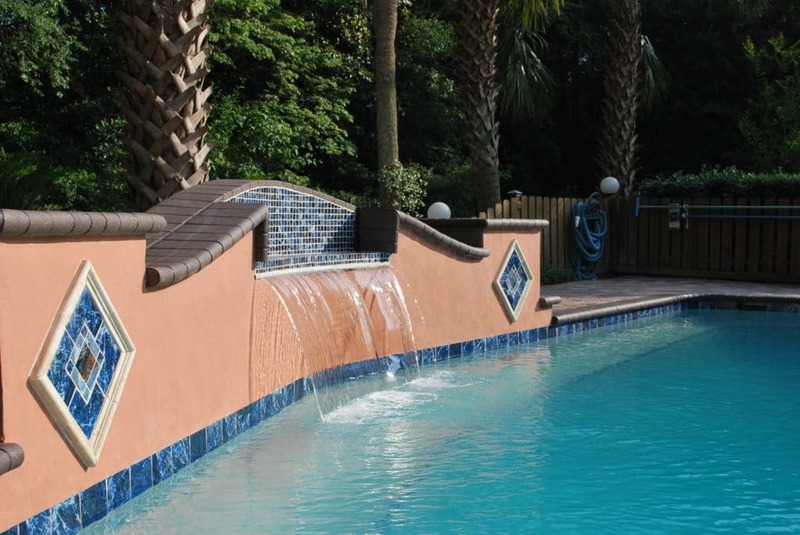 We bring experience and expertise to every project, from driveways to retaining walls, and from pool decks to fire features. 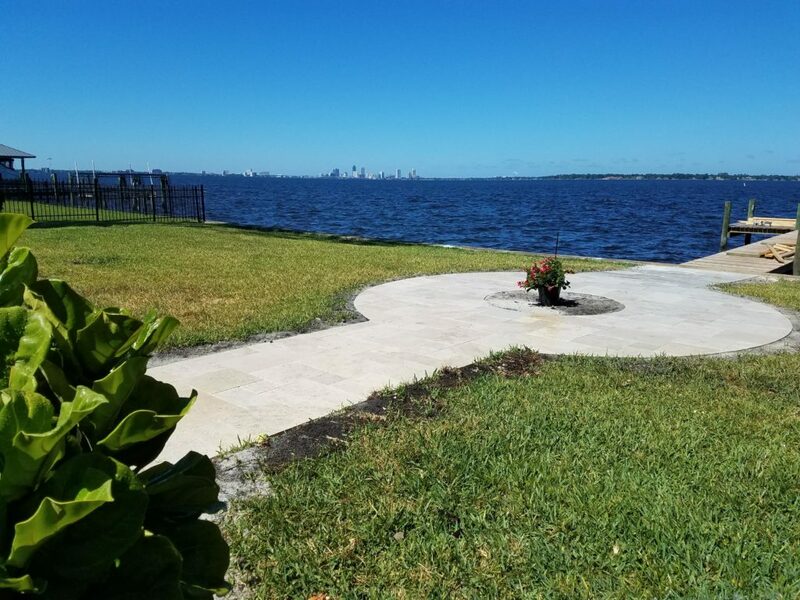 Take a look at the work we’ve done for our clients, and the spaces that they enjoy. And when you see something you like, let us know. We’d love to create an experience for you in your space. 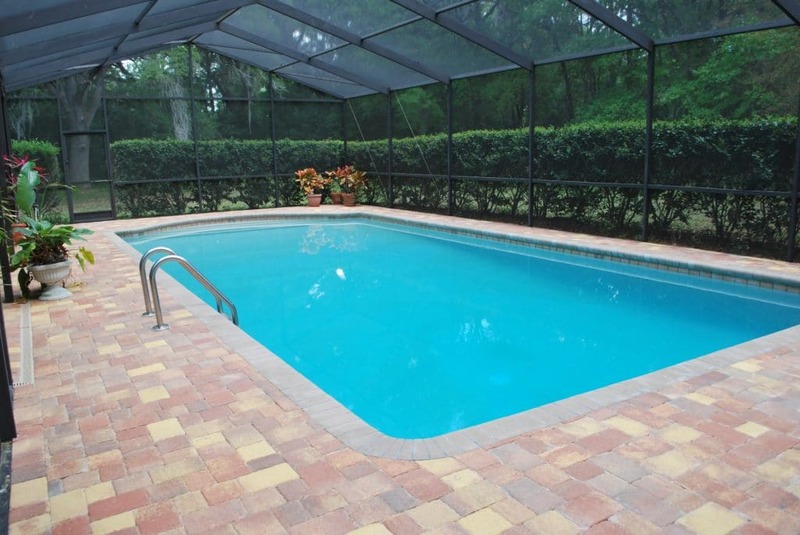 Concrete paver pool deck remodel. 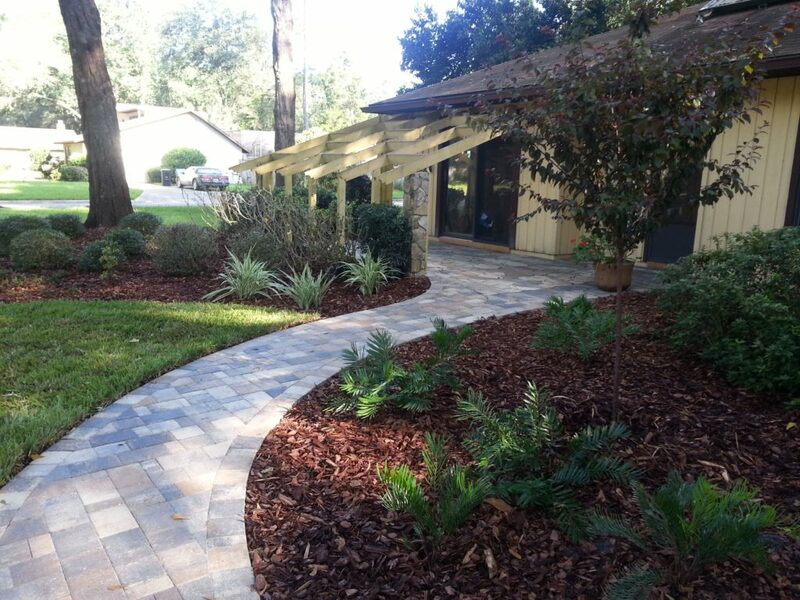 Paver shape-4×8, color- mix of Autumn Blend and Sand Dune. 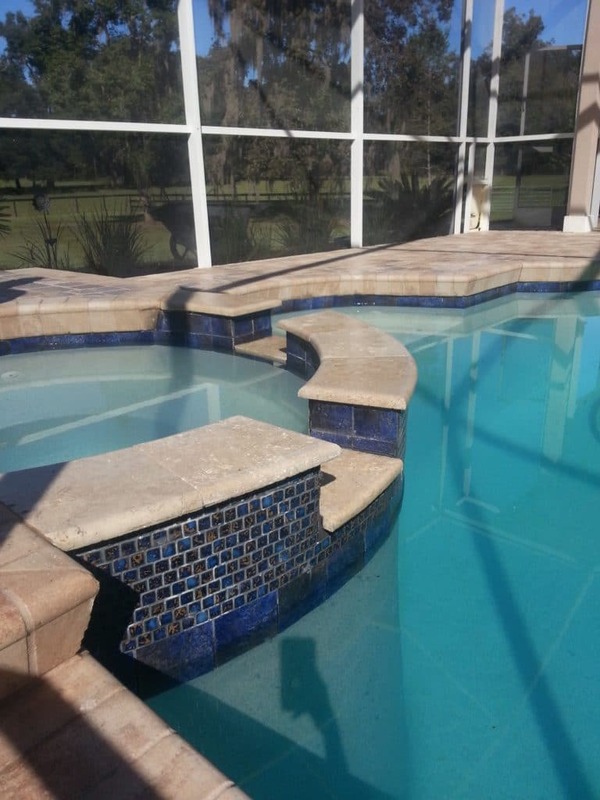 Travertine paver pool deck remodel with split face travertine on spa. Paver shape-French pattern, color-Ivory. Split face travertine color-Leonardo. 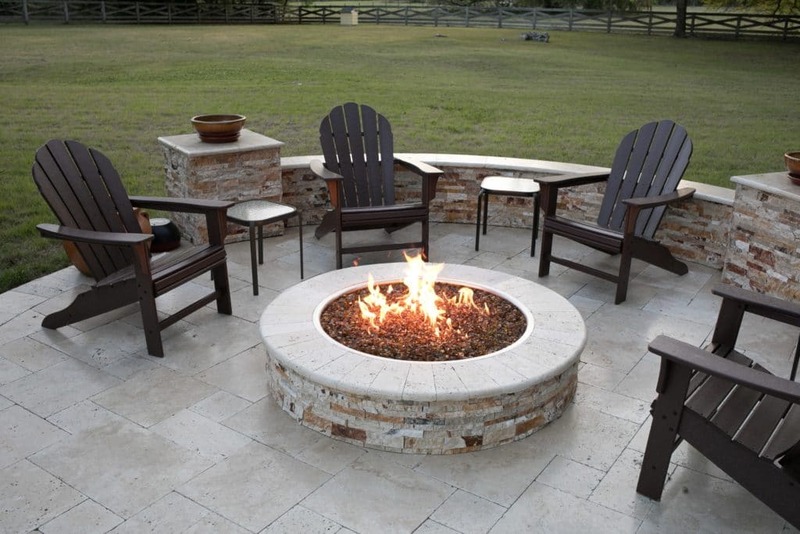 Travertine paver patio with stone veneer facing on seating wall and fire pit. Travertine shape-French Pattern, color-Ivory. Travertine split face stone veneer color-Leonardo. Travertine walkway. Travertine shape-French Pattern, color- Ivory. 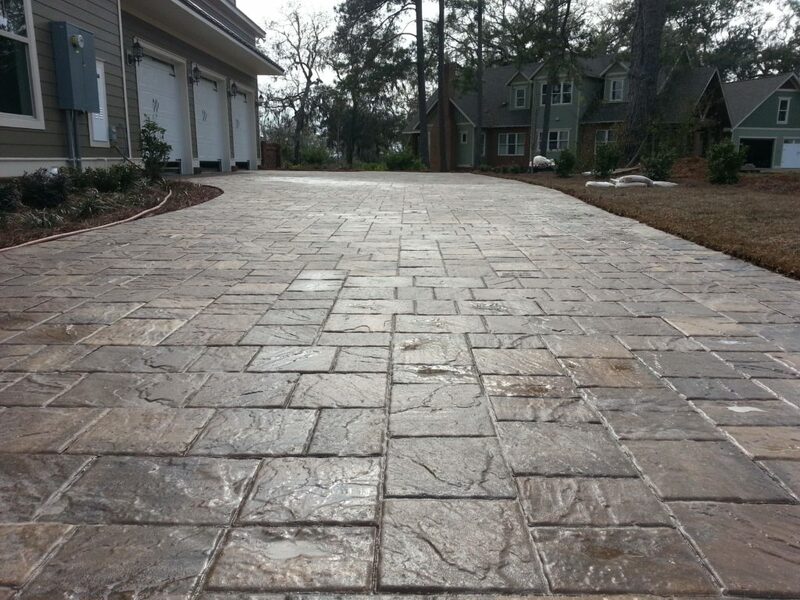 Concrete paver driveway. Paver shape-Old Town, color-Glacier. 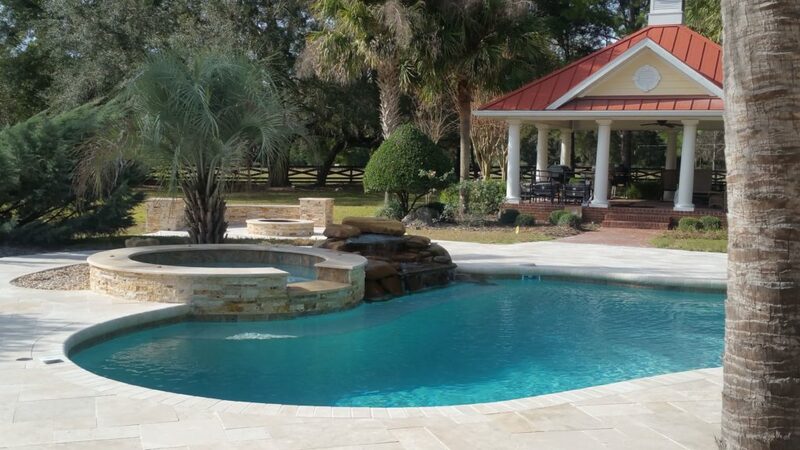 Concrete paver pool remodel and water feature. Paver shape-Old Town, color-Mahogany. 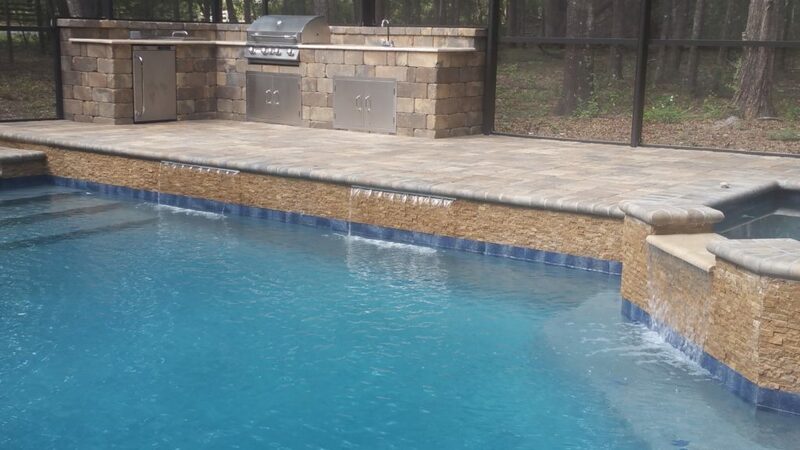 Travertine pool deck remodel and retaining wall. 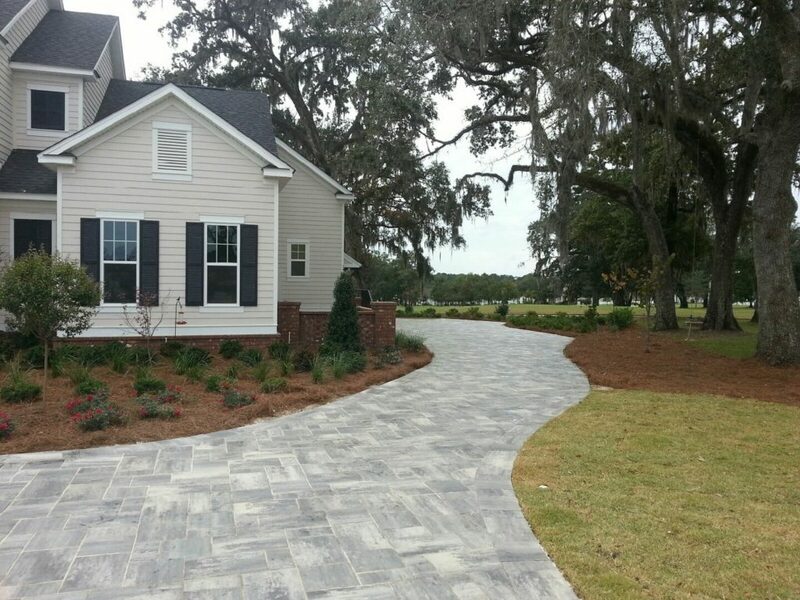 Paver shape-French Pattern, paver color-Country Classic. Block color-Autumn Blend. 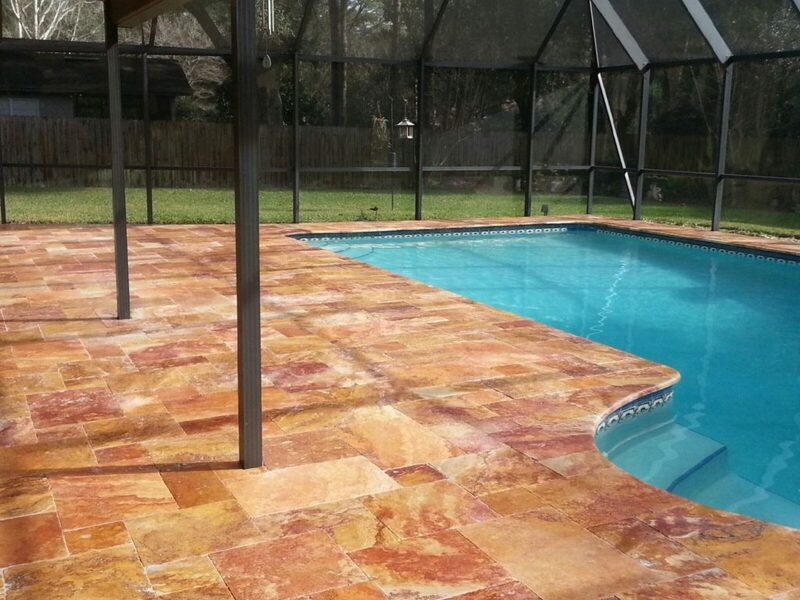 Concrete pool deck remodel with travertine spill over. 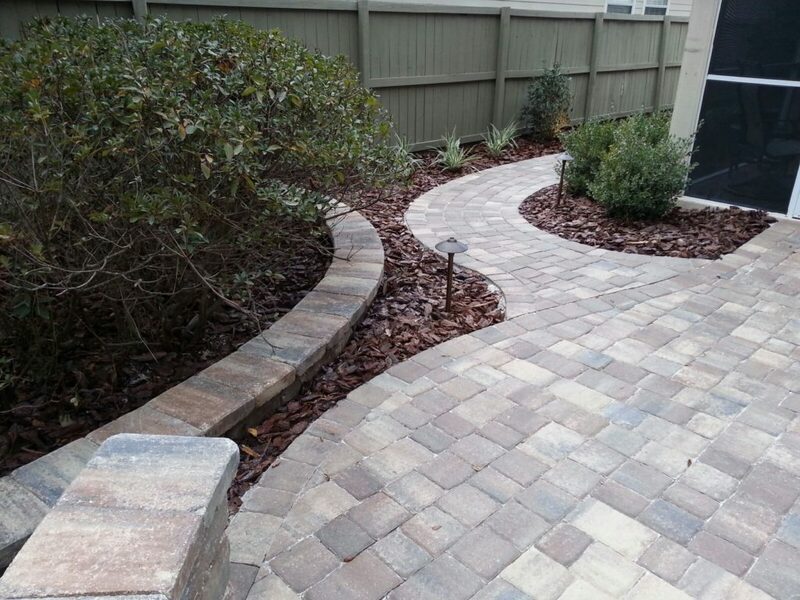 Concrete paver shape-Old Town, color-Sand Dune. Travertine color-Ivory. 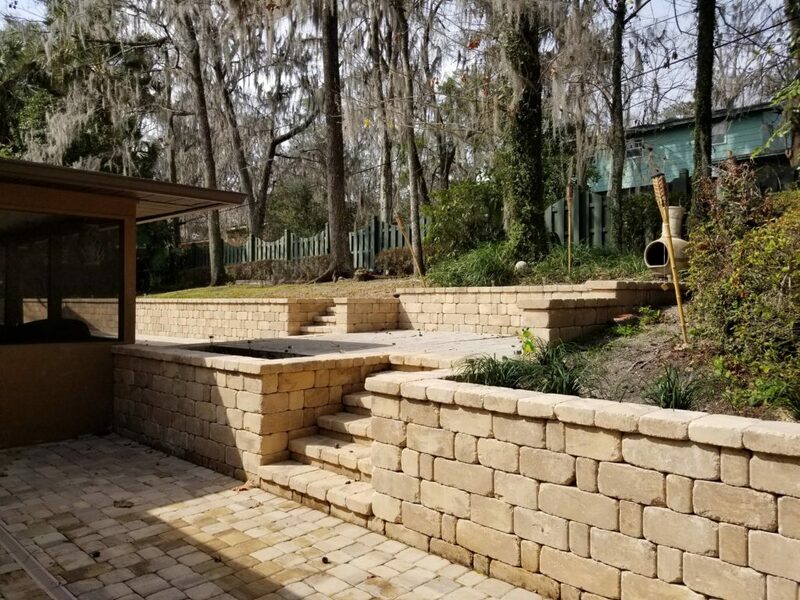 Travertine patio, concrete block seating wall and fire pit. Travertine shape-French Pattern, color-Silver. Block shape-Diamond Pro, color-Wheat. 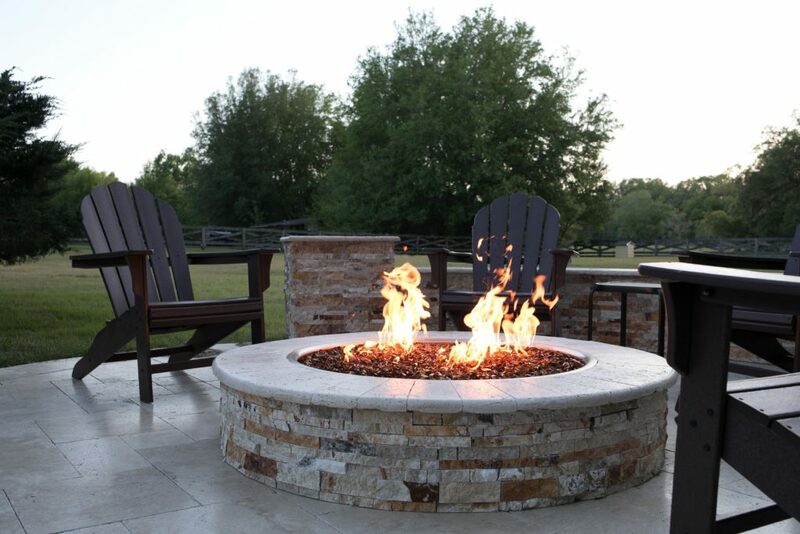 Travertine pavers as a cap on fire pit and wall with honed and polished edges. 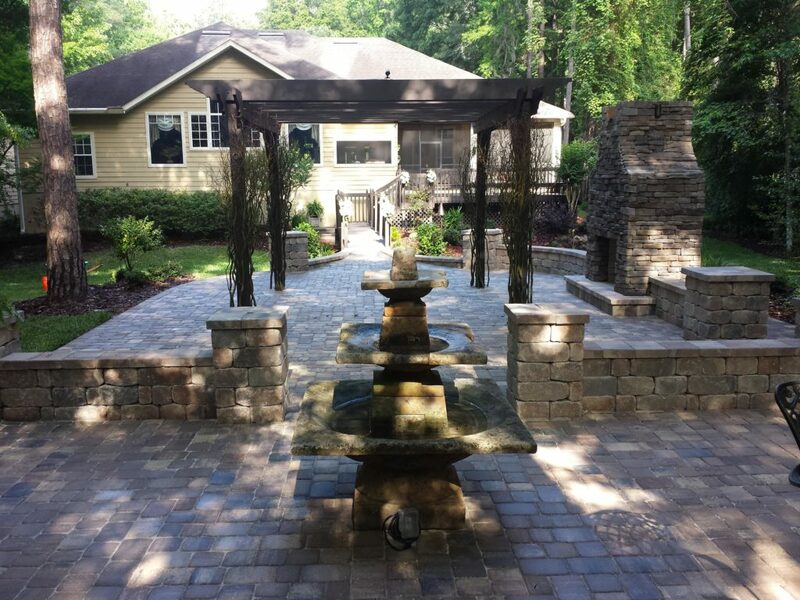 Concrete paver patio, walkway and wall block. Paver shape-Old Town, color-Sierra. Block shape-Keystone Stonegate, color-Sierra. 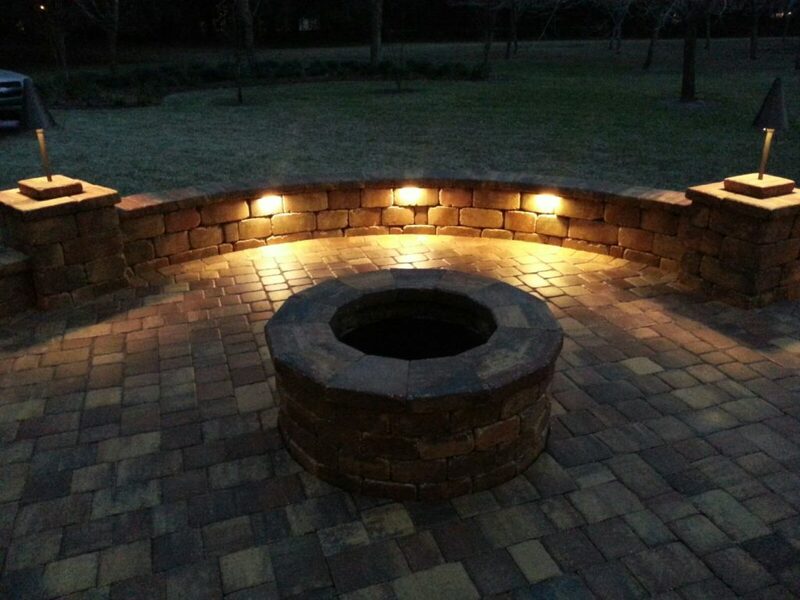 Concrete paver patio, block seating wall and fire pit, and low voltage lighting in seating wall and columns. Paver shape-Old Town, color-Autumn Blend. 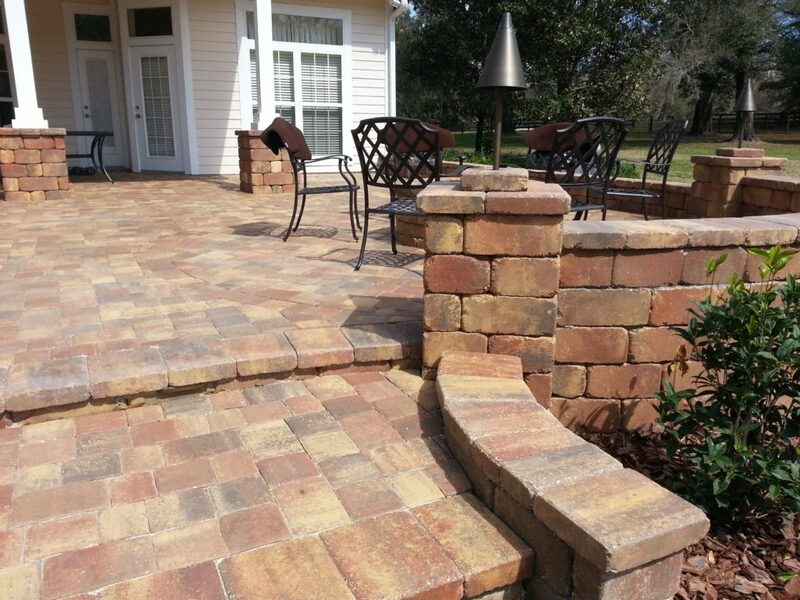 Block shape-Keystone Stonegate, color-Autumn Blend. 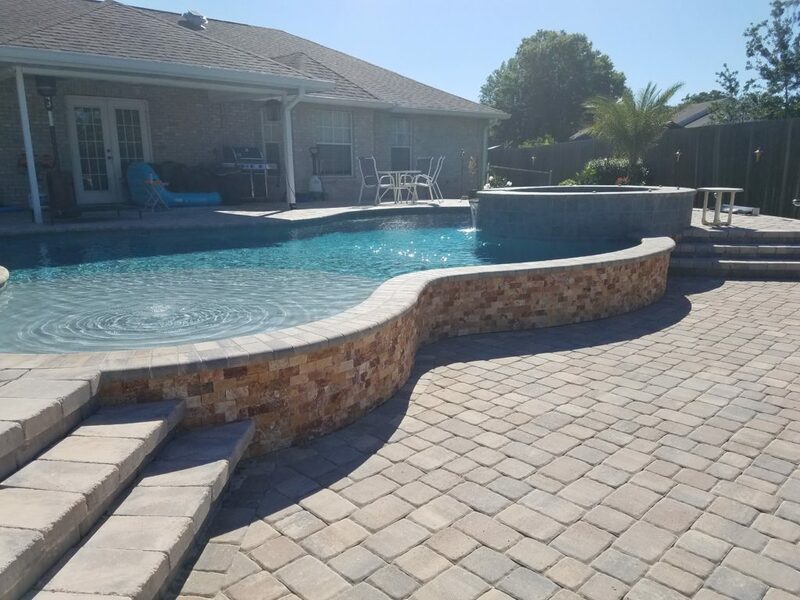 Travertine paver pool deck remodel. Travertine shape-French Pattern, color-Autumn Leaves. Travertine patio with clay brick border. Travertine shape-French Pattern, color-Ivory. Patio is retained with cinderblock and faced with travertine pavers. 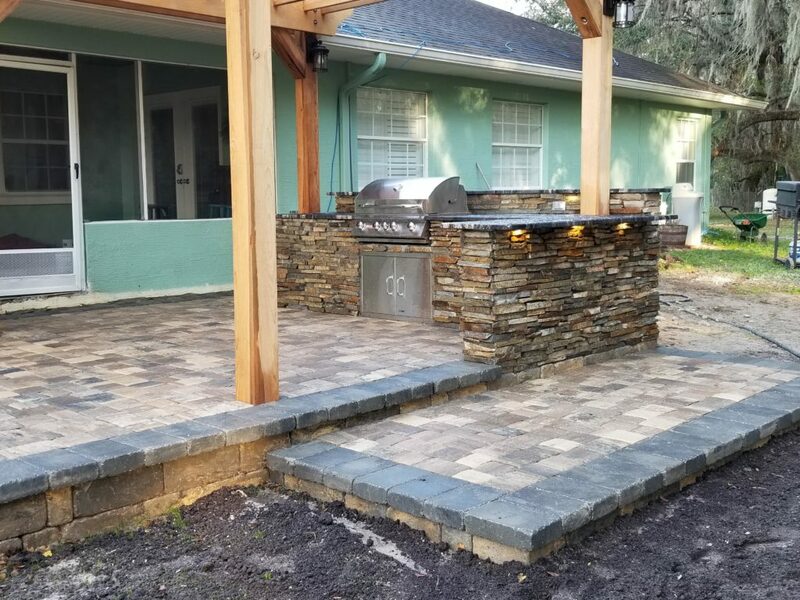 Concrete paver patio and wall block. Paver shape-Old Town, color-Autumn Blend. Block shape-Keystone Stonegate, color-Autumn Bllend. 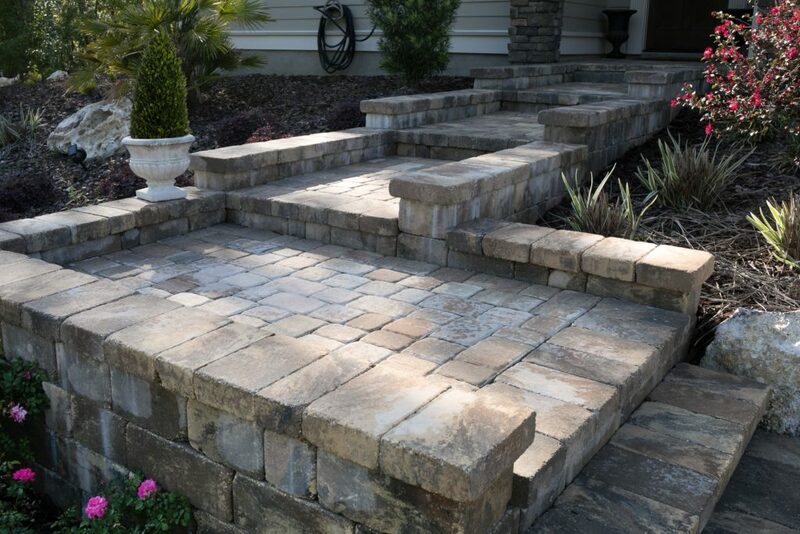 Low voltage lighting in steps, seating wall, and columns. 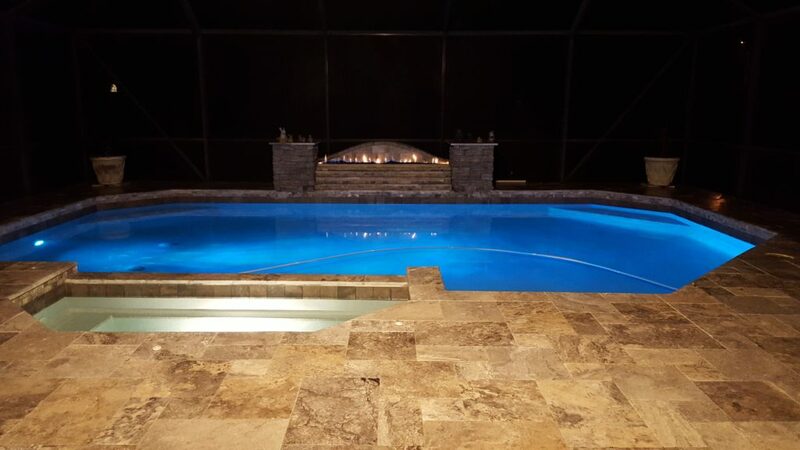 Travertine paver pool deck remodel with water and fire feature. Travertine shape-French Pattern, color-Silver. Columns faced with Stone veneer. Terraced water feature faced with split face travertine stone. Travertine split face color-silver. Blue glass fire rock in fire feature. 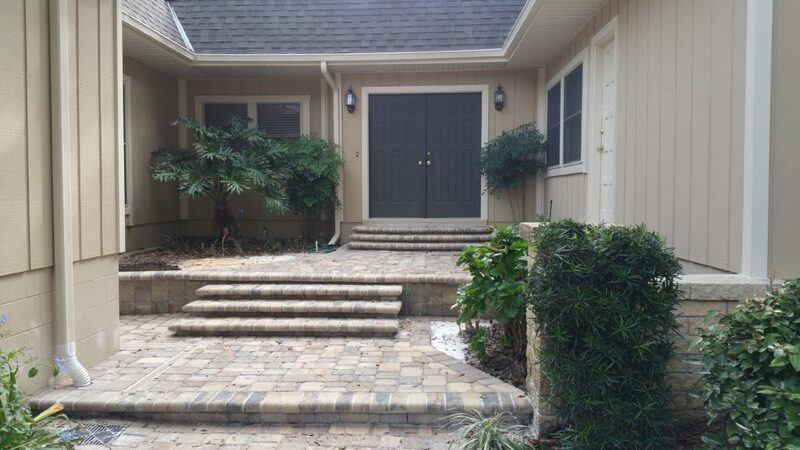 Concrete paver and coping front entry remodel. Paver shape-Old Town, color-Sierra. Coping color-Sierra. Concrete block fire place with concrete precast mantle and hearth. 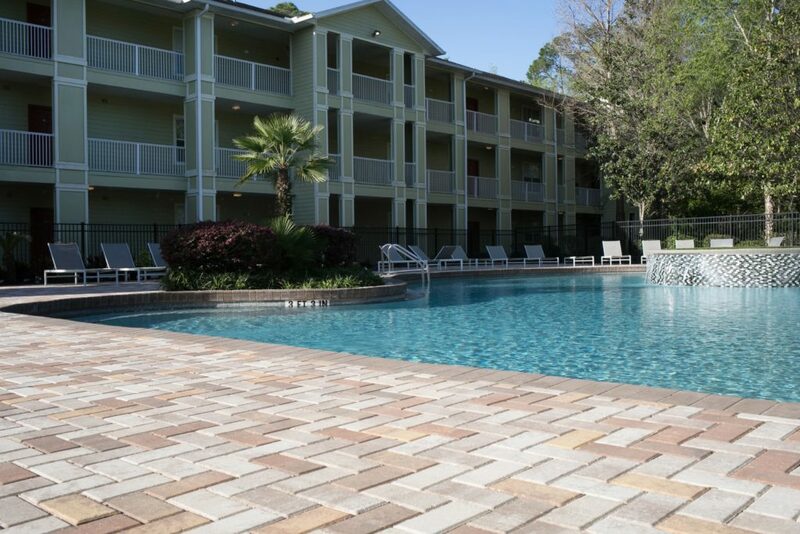 Paver shape-Old Town and block shape-Keystone Stonegate, color-Oak Run. 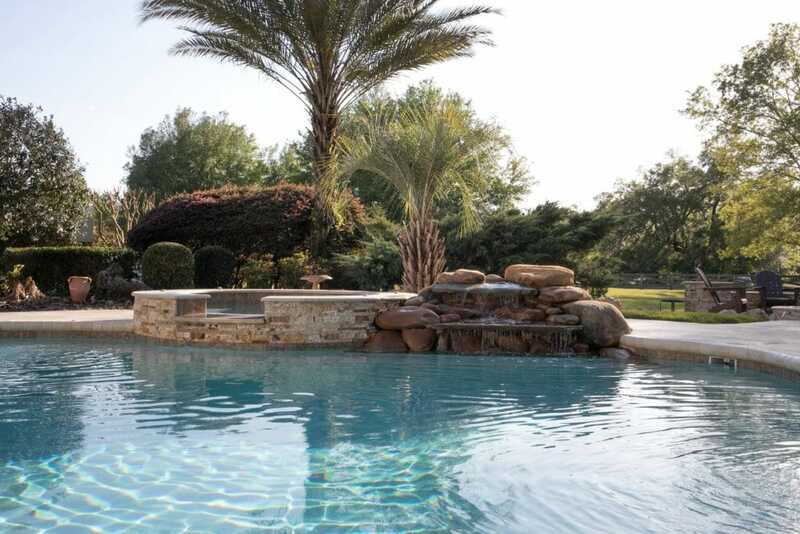 Travertine pool deck remodel with travertine remodel coping, and stone veneer. Travertine shape-French Pattern, color-Ivory. Coping color-Ivory. Leonardo travertine split face stone veneer. 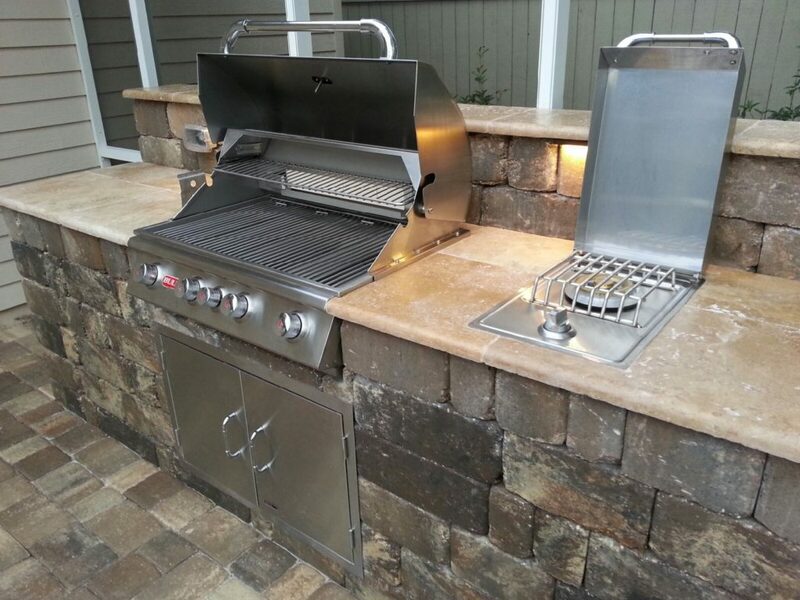 Outdoor kitchen with Scabos travertine split face stone veneer facing and Noce travertine countertops. 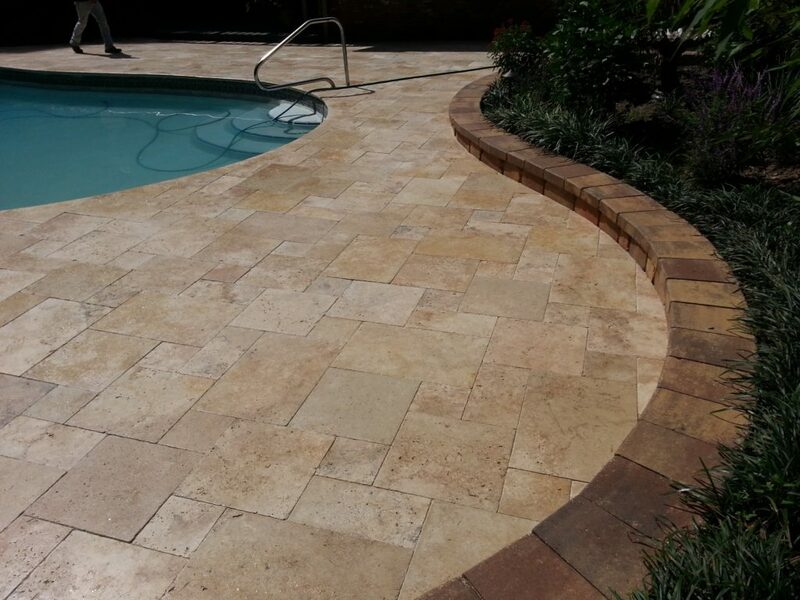 Travertine paver pool deck remodel with retaining wall and stone veneer. Travertine shape-French pattern, color-Leonardo. Honed and polished pool edge. 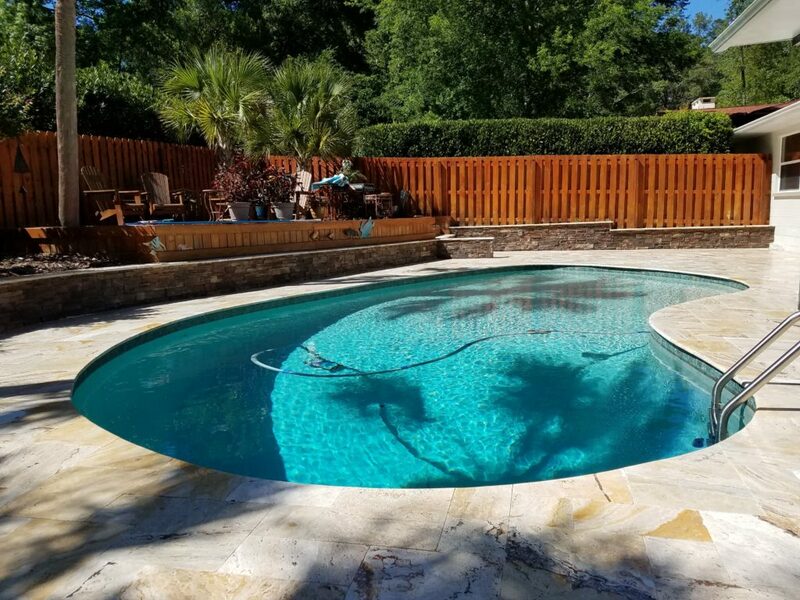 Travertine paver pool deck remodel with retaining wall and stone veneer facing. Travertine shape-French Pattern, color-Leonardo. 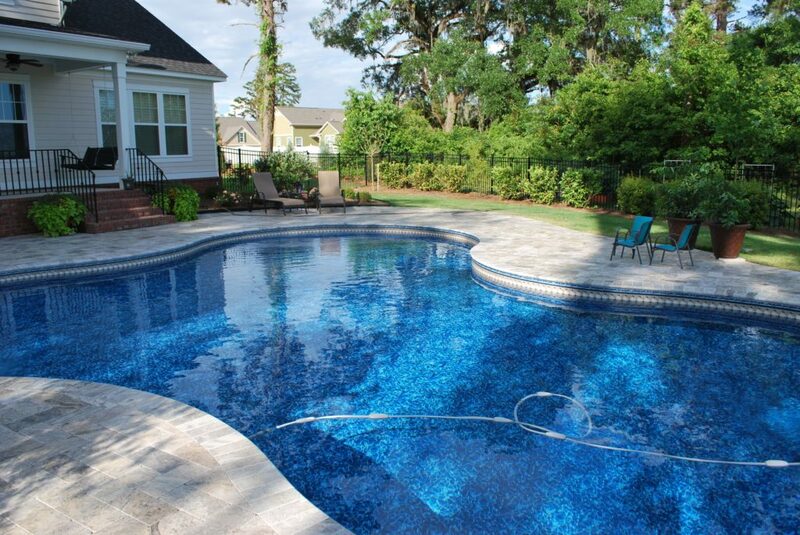 Concrete paver pool deck with travertine split face stone veneer. Paver shape-Old Town, color-Oak Run. Scabos travertine split face stone veneer. 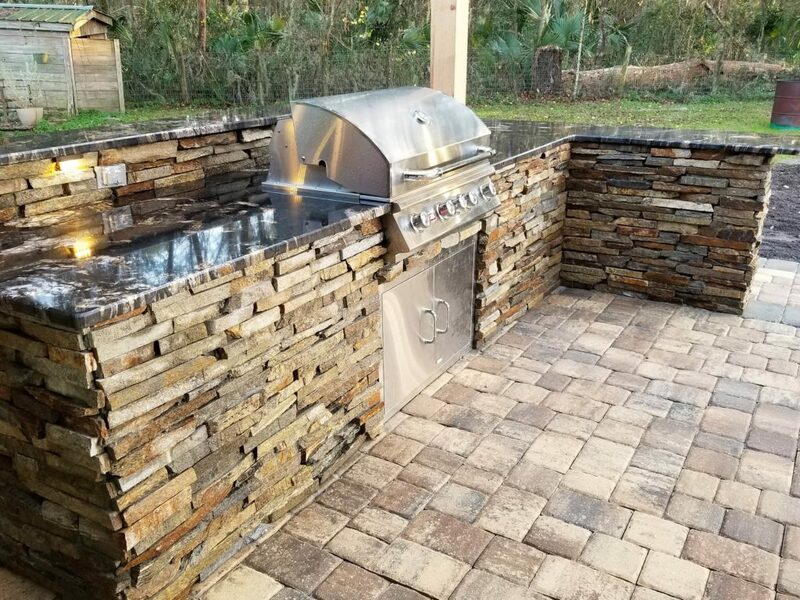 Concrete paver patio, wall block, and fire pit. Paver shape-Old Town, color-Sierra. Block shape-Keystone Stonegate, color-Sierra. Travertine pool deck remodel with concrete coping. Travertine shape-French Pattern, color-Silver. Coping color-charcoal. Concrete paver patio and walkways with travertine paver fire pit area. 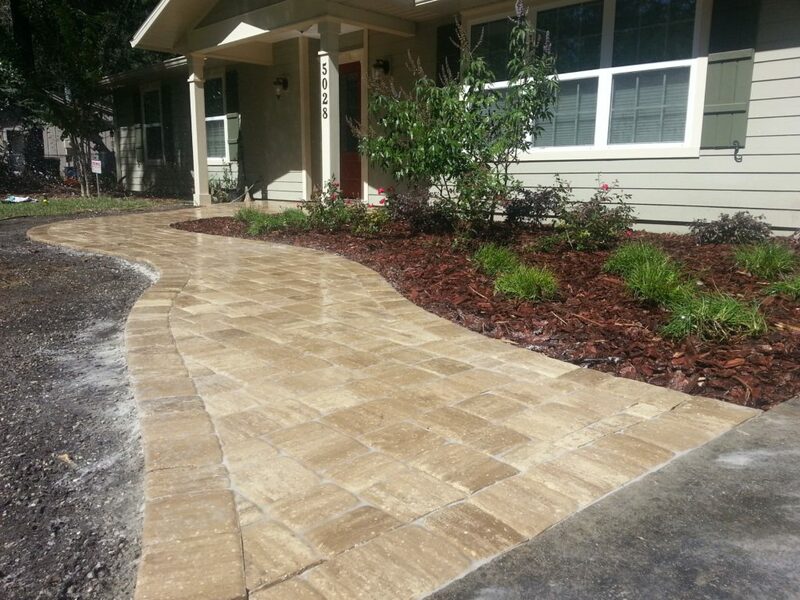 Concrete paver shape-New England, color-Cream/Beige/Charcoal. Travertine shape-French Pattern, color-Autumn Blend. 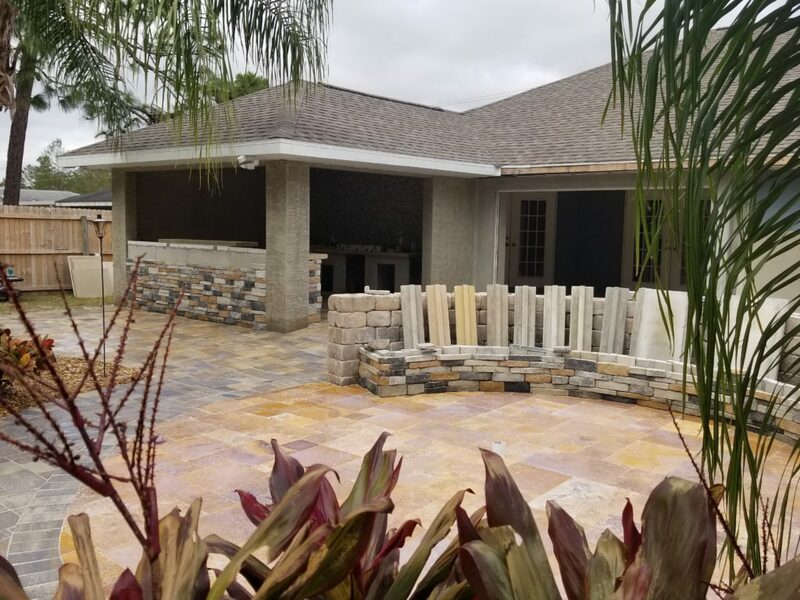 Concrete paver patio and wall block. 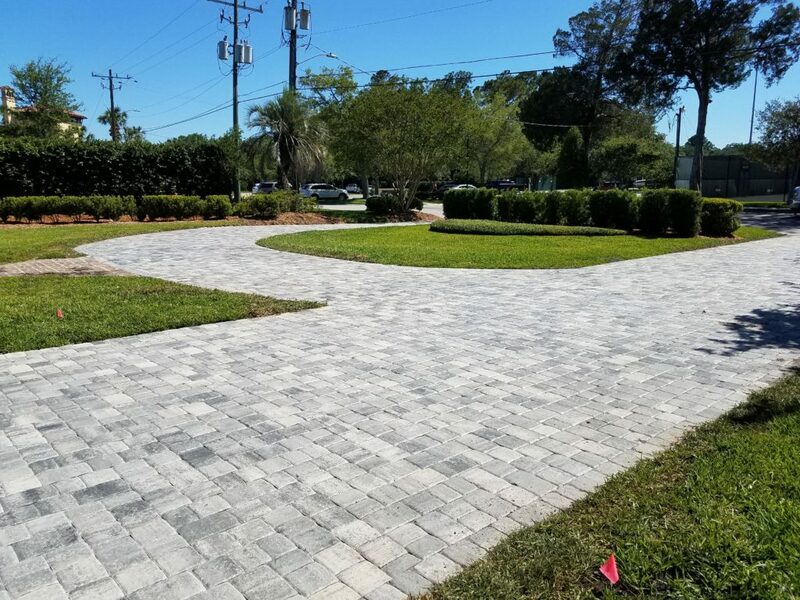 Paver shape-Old Town, color-Sand Dune. Block shape-Keystone Stonegate, color-Sand Dune. Concrete paver driveway. 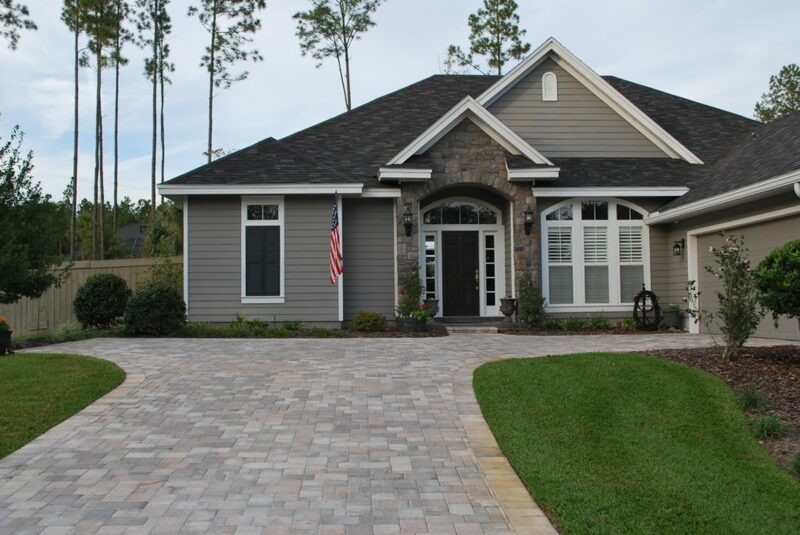 Paver shape-4×8, shape-heritage. 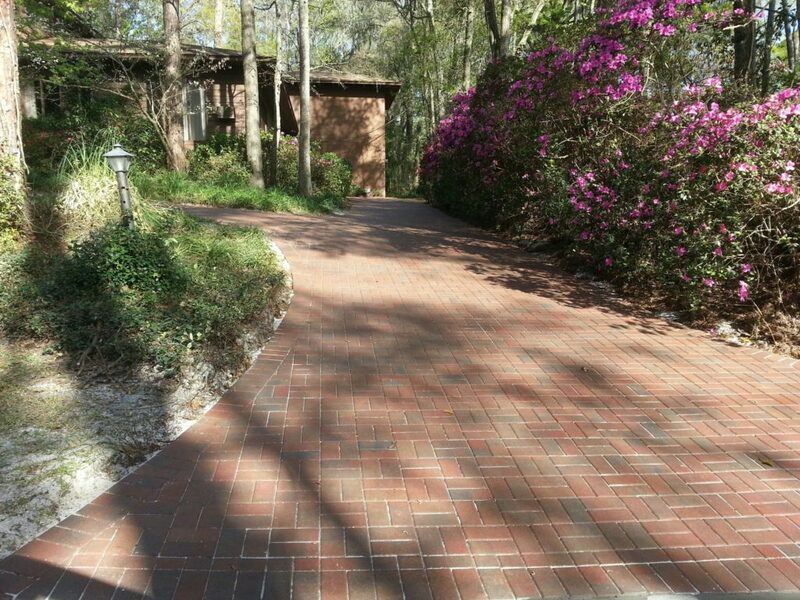 Concrete paver driveway. 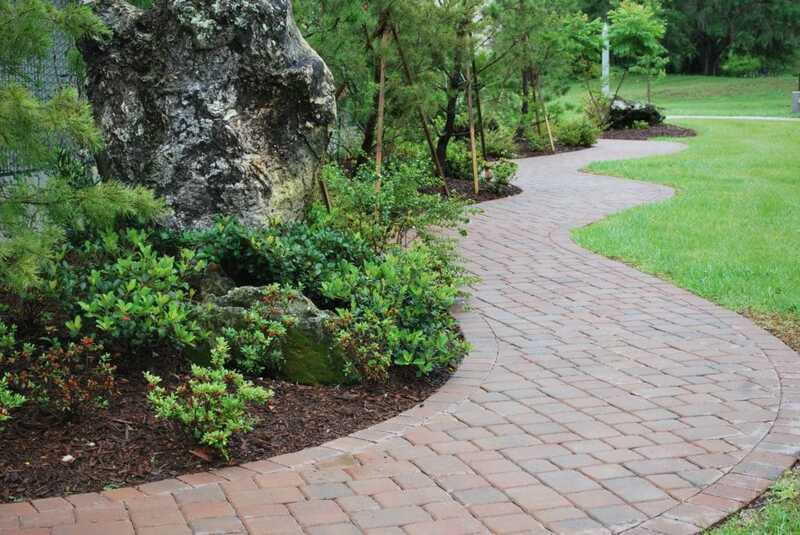 Paver shape-Bluestone, color-Lion’s Bridge. 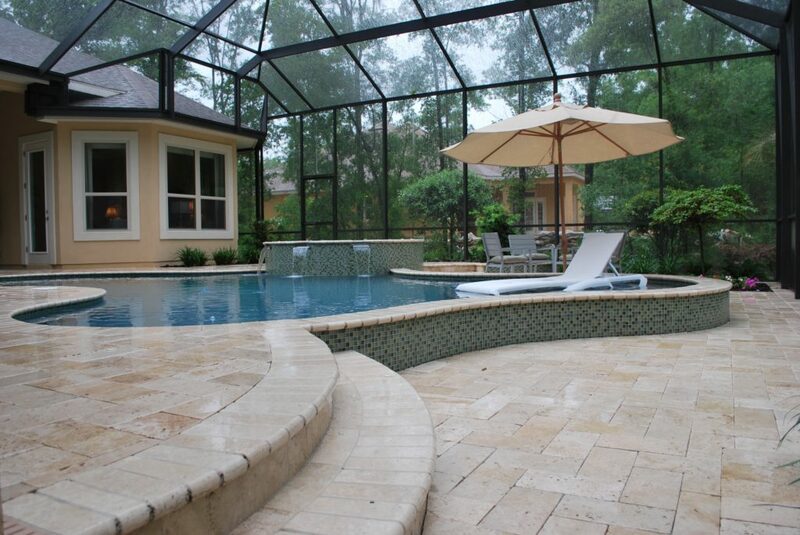 Travertine paver pool deck. Travertine shape-French Pattern, color-Silver. 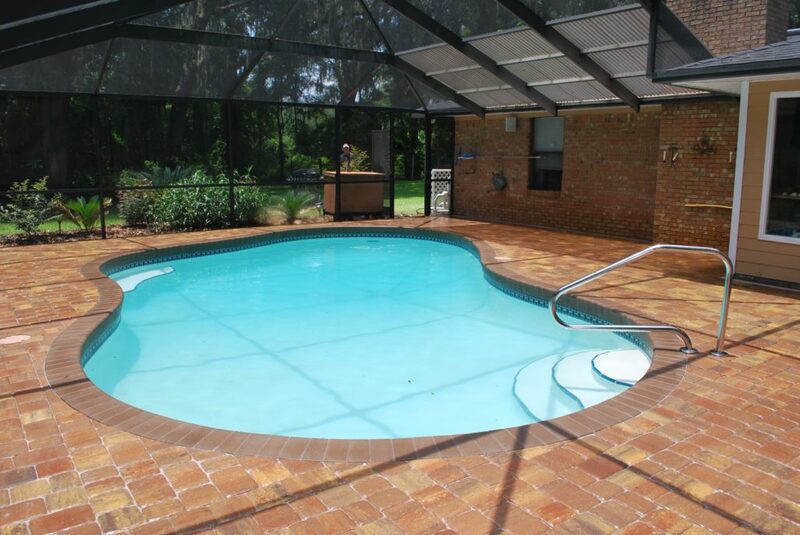 Travertine paver pool deck and coping. 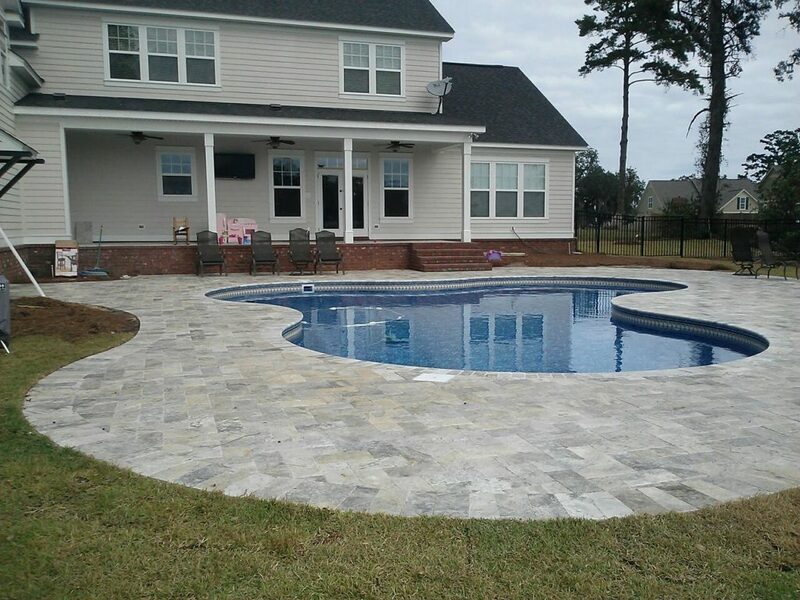 Paver shape-6×12, color-Ivory. Coping color-Ivory. 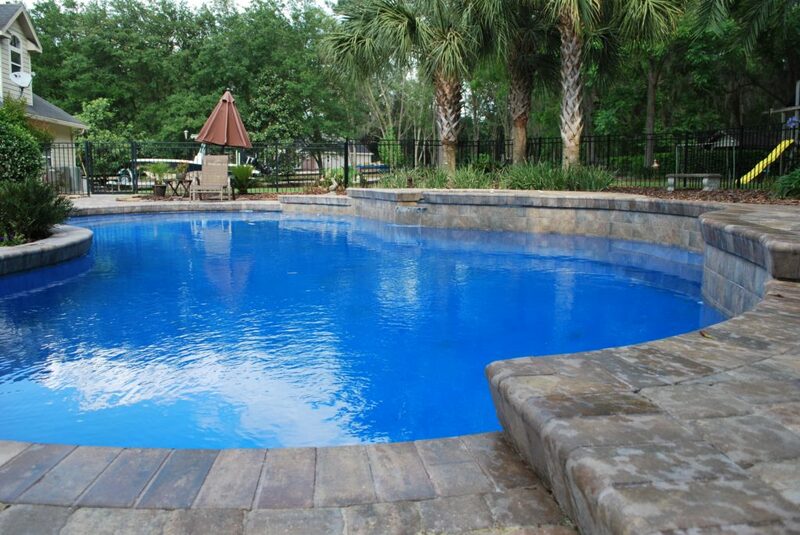 Concrete paver pool remodel with concrete coping. Paver shape-Old Town, color-Sierra. Coping color-Sierra. 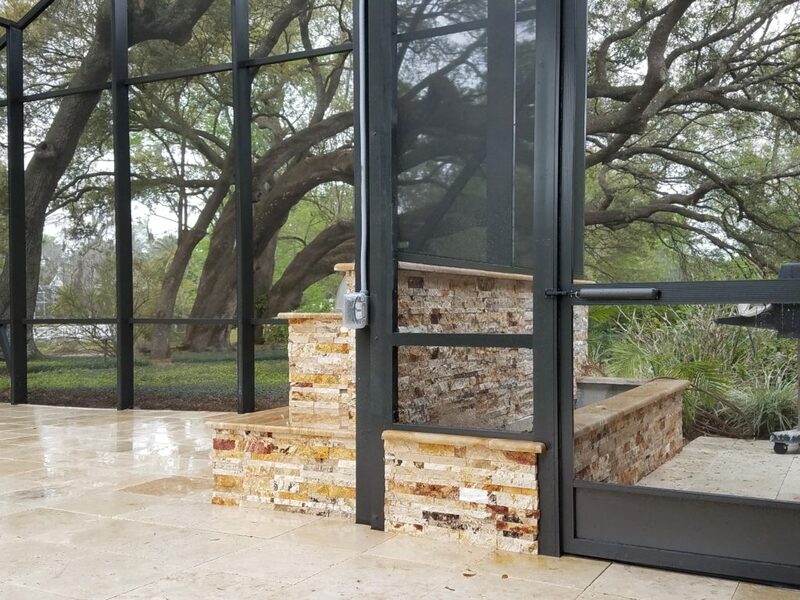 Water feature with stucco finish, concrete coping, glass tile spillway, and Ivory travertine tile accents. 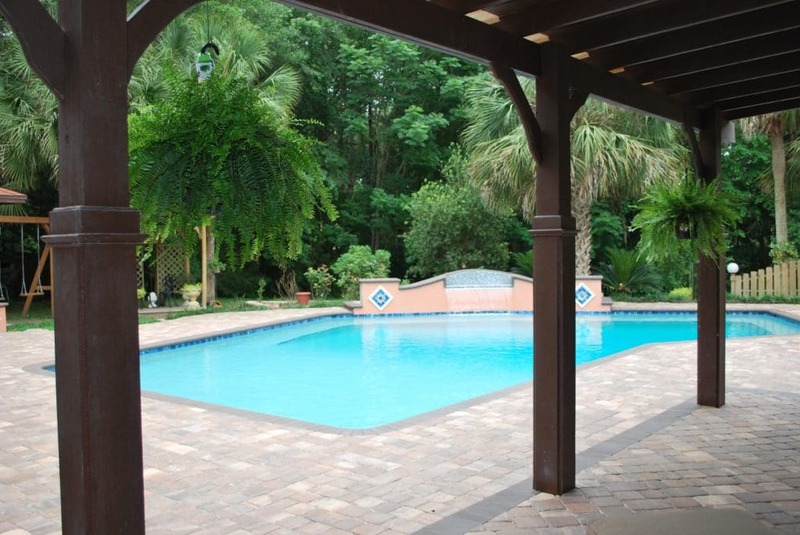 Travertine paver pool deck. Paver shape-French Pattern, color-Silver. 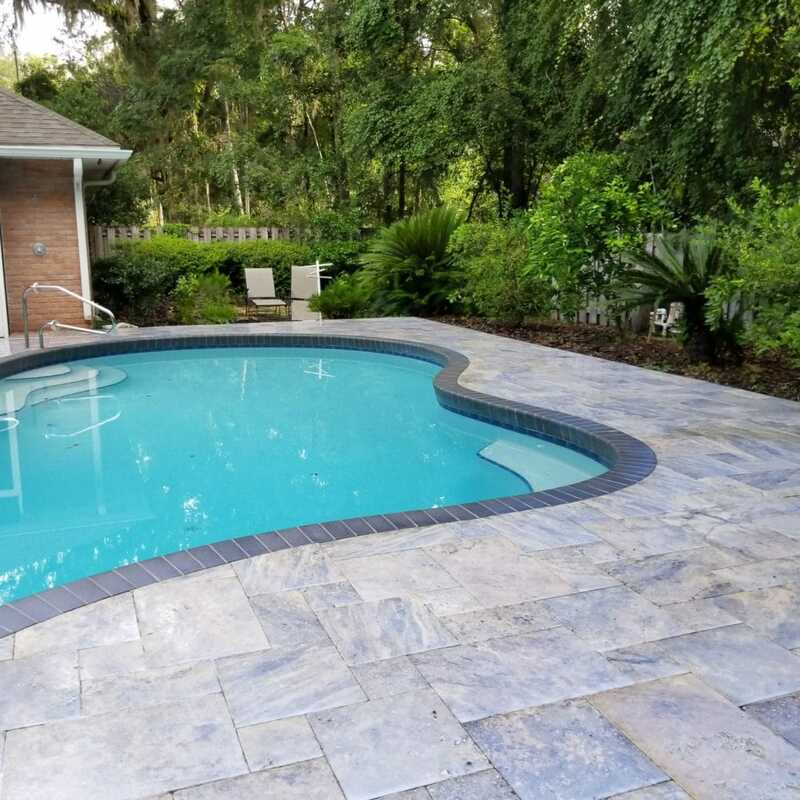 Concrete paver pool deck remodel with concrete coping. Paver shape-Old Town, color-Autumn Blend. Coping color-Tan. Concrete paver driveway. Paver shape-Old Town, color-Sierra. 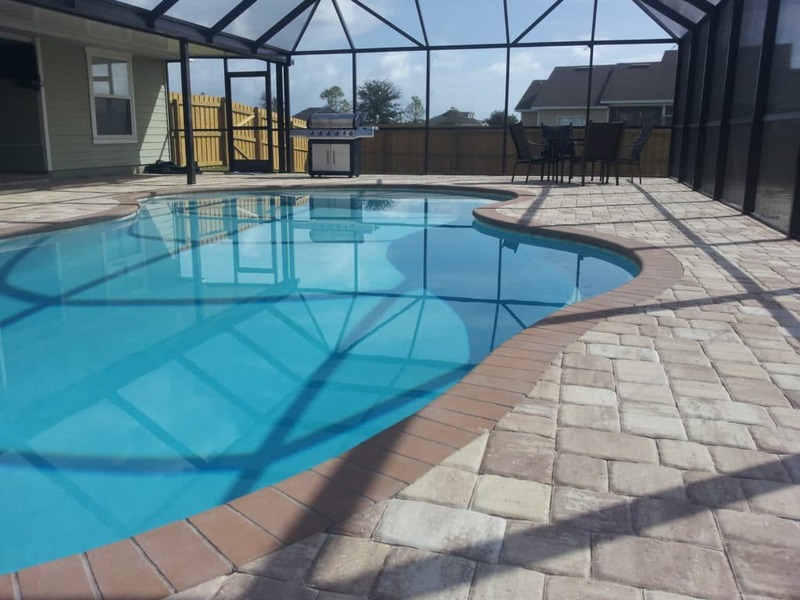 Concrete paver pool deck remodel. Paver shape-Old Town, color-Autumn Blend. 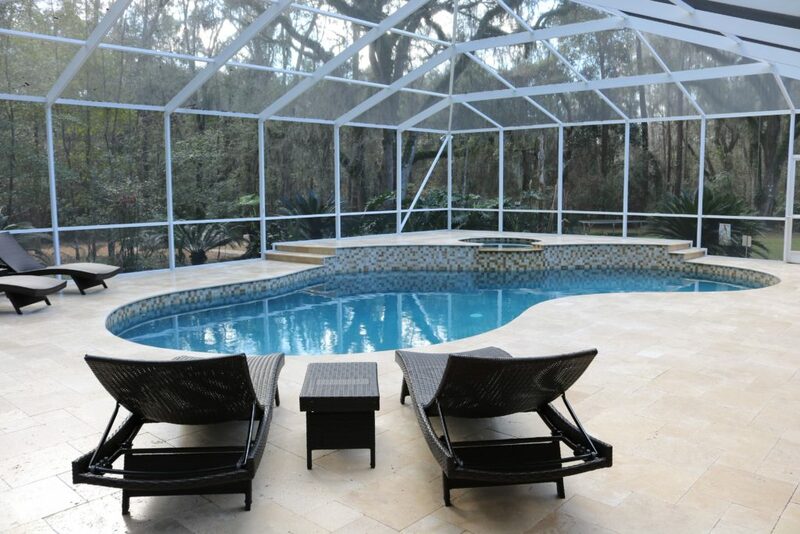 Travertine pool deck remodel. Paver shape-French Pattern, color-Ivory. Concrete paver walkway and block. Paver shape-Old Town, color-Sierra. Block shape-Keystone Stonegate, color-Sierra. 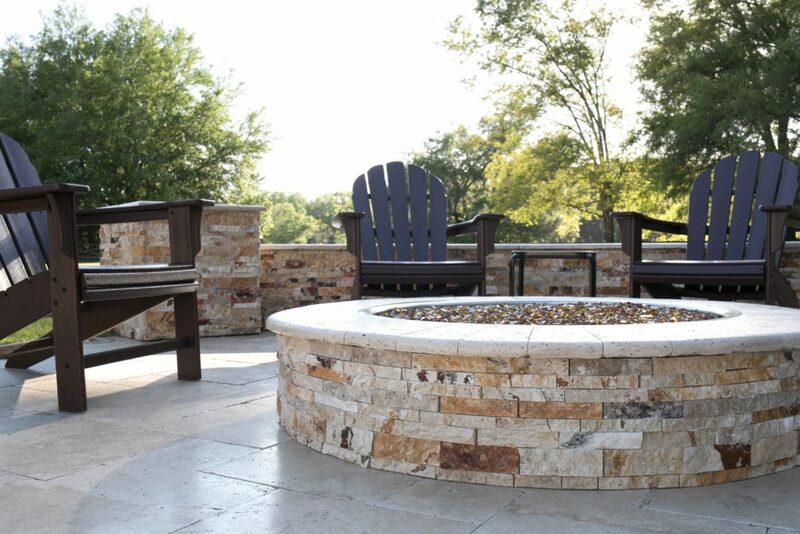 Travertine paver patio with travertine split face stone veneer facing on seating wall and fire pit. Travertine shape-French Pattern, color-Ivory. 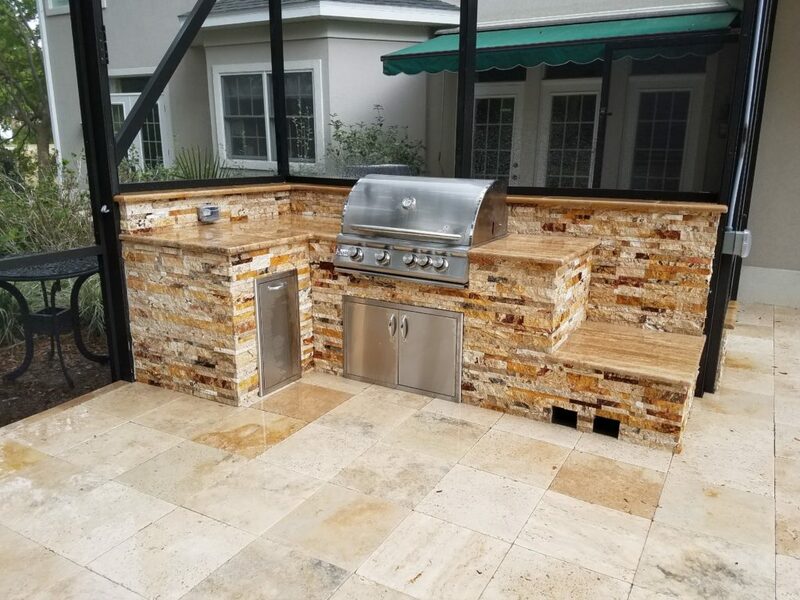 Scabos travertine split face stone veneer. 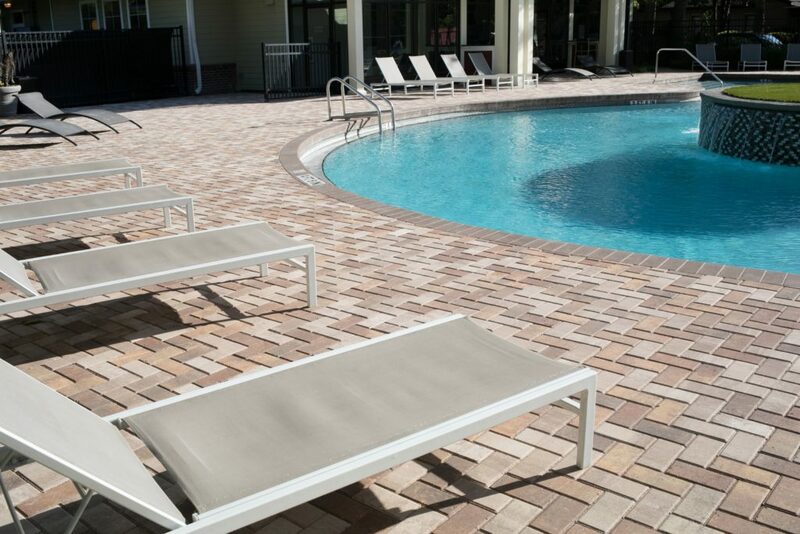 Caps are travertine pavers with honed and polished edges. 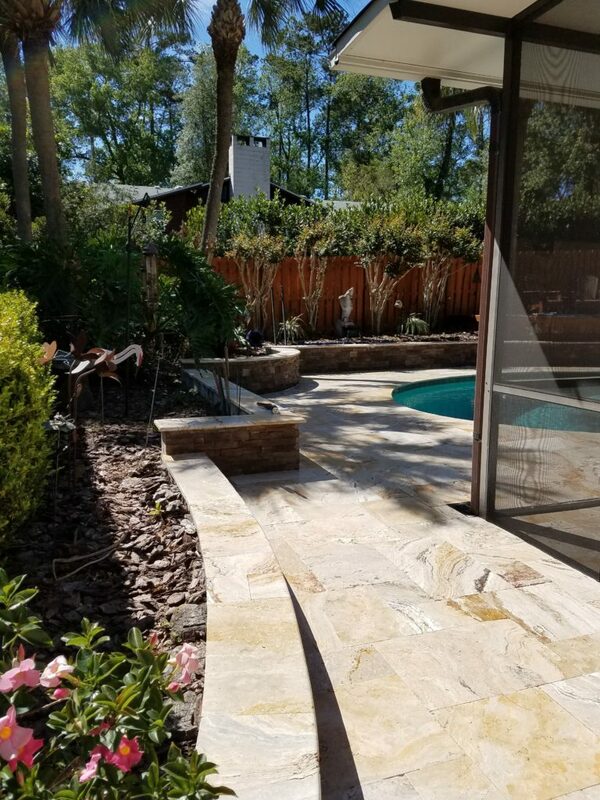 Travertine paver pool deck remodel with natural Stone boulder waterfall. Paver shape-French Pattern, color-Ivory. 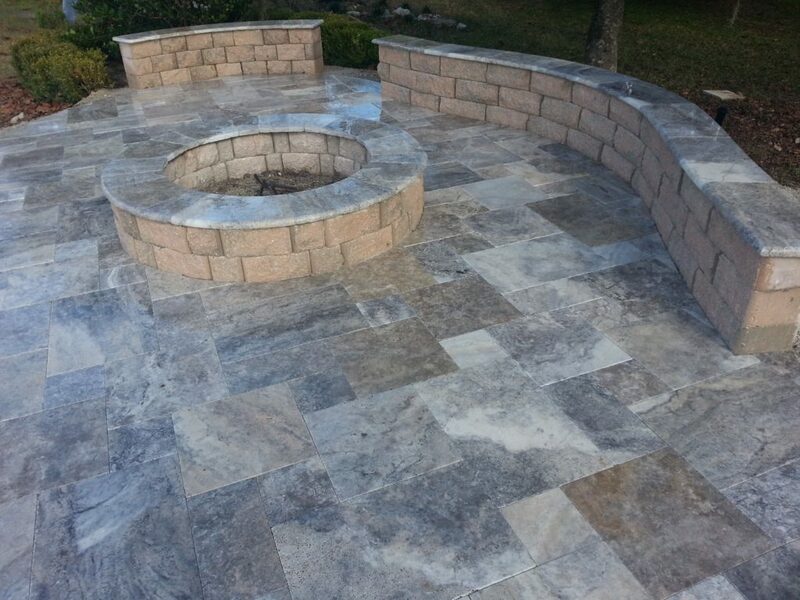 Travertine paver patio with stone veneer facing on seating wall and fire pit. Travertine shape-French Pattern, color-Ivory. Scabos travertine split face stone veneer. Caps are travertine pavers with honed and polished edges. Travertine paver pool deck remodel with honed and polished pool edge. Paver shape-French Pattern, color-Ivory. 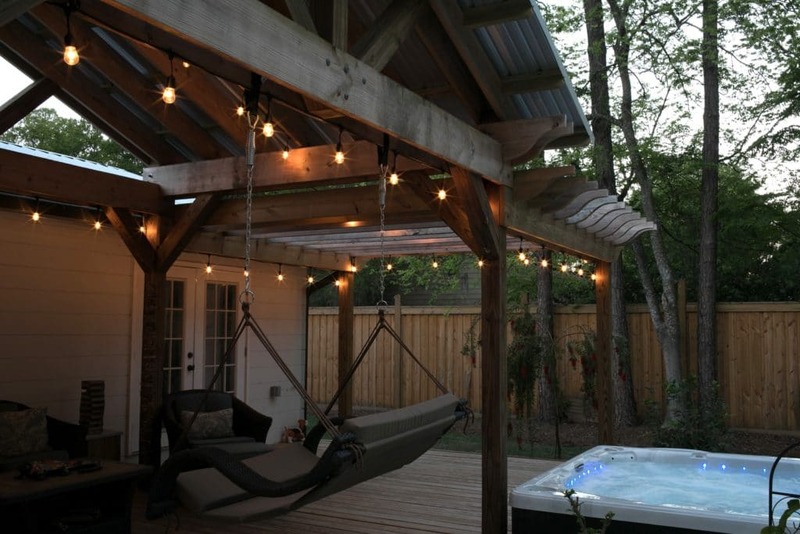 Custom pergola is pressure treated southern yellow pine. 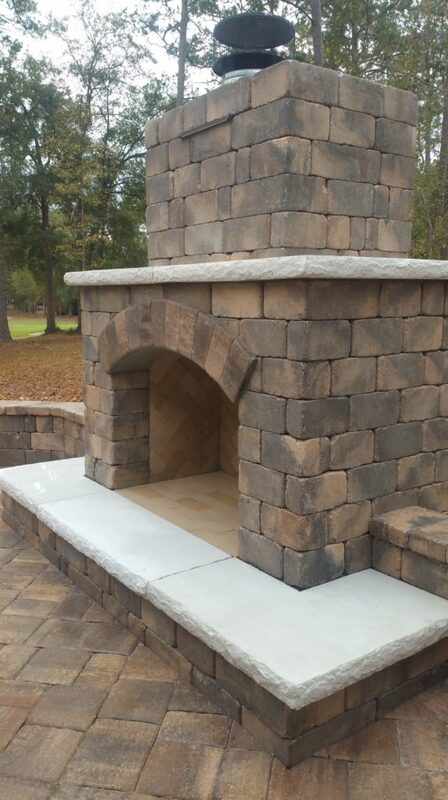 Concrete paver patio, block seating wall, fire place with stone veneer, and pergola. 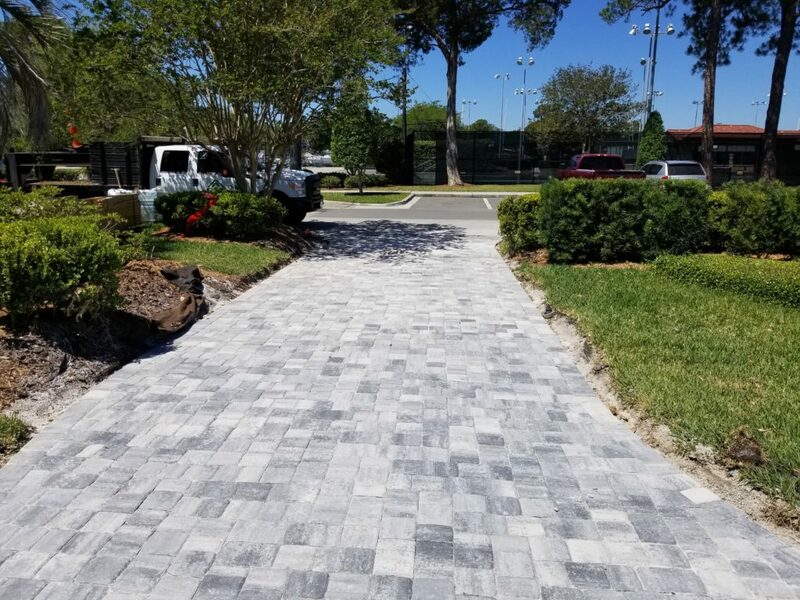 Paver and block color-Sierra. 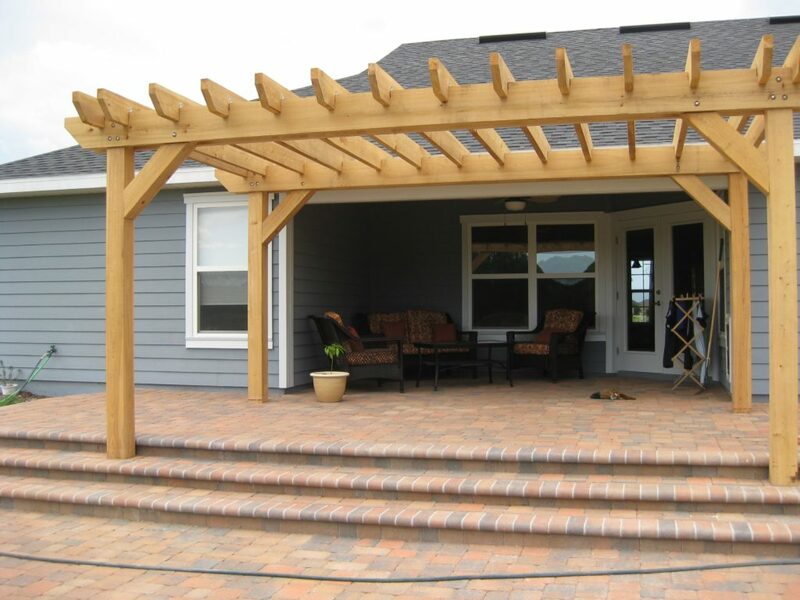 Custom pergola is painted pressure treated southern yellow pine. Concrete paver walkway. Paver shape-New England, color-Cream/Beige/Charcoal. 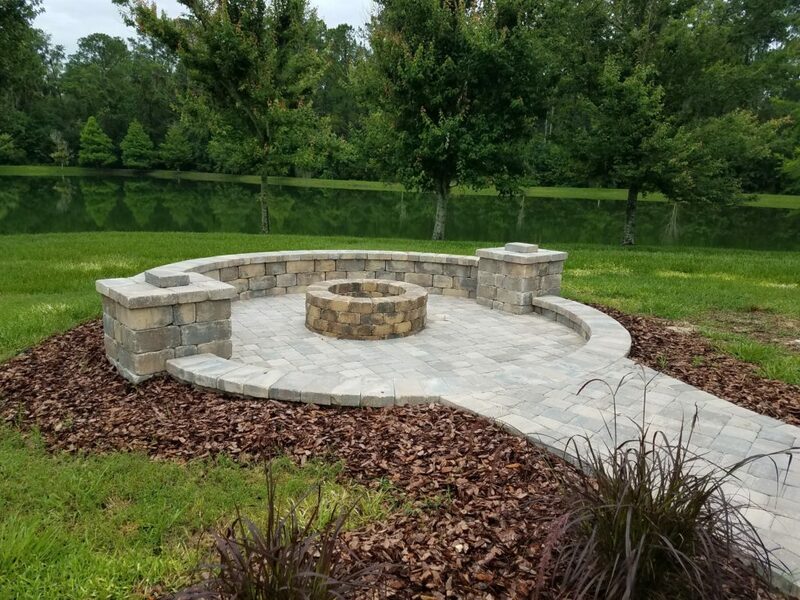 Concrete paver patio, seating wall, and fire pit. 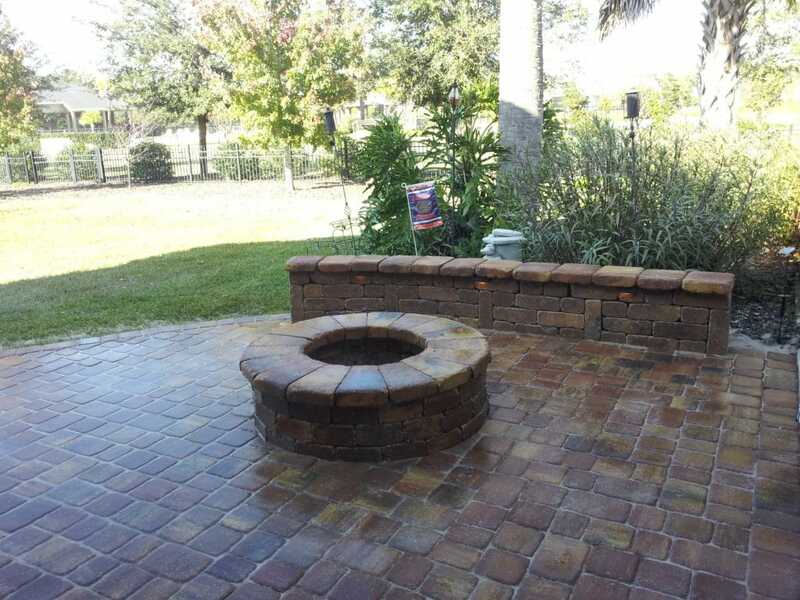 Paver shape-Old Town, paver color-Autumn Blend, block shape for fire pit and seating wall-Autumn Blend. Seating wall has low voltage lighting. 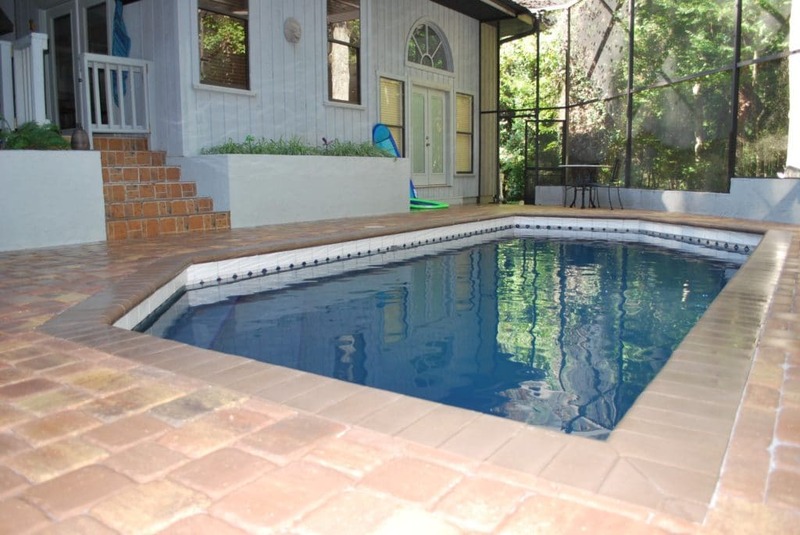 Concrete paver pool deck. 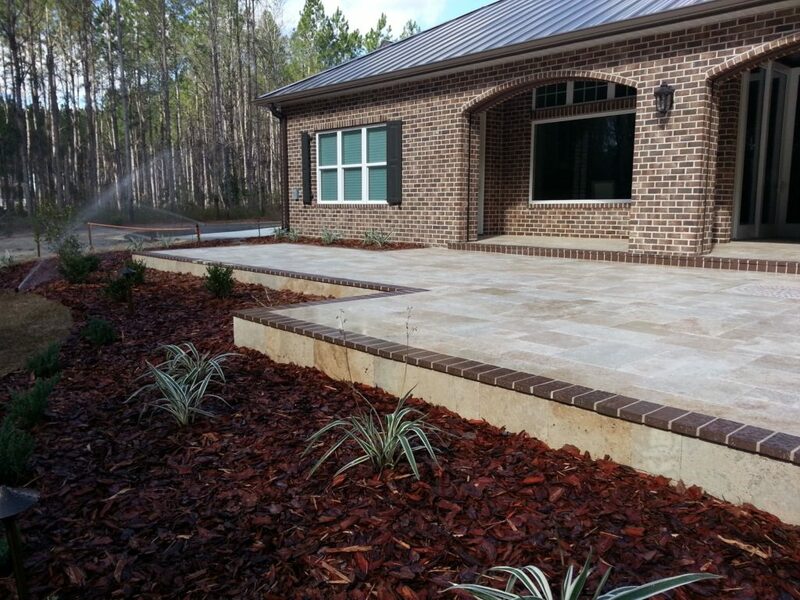 Coping color-tan, paver shape-Old Town, paver color-Sand Dune. Concrete paver walkway. Shape – Old Town, color – Sand Dune. 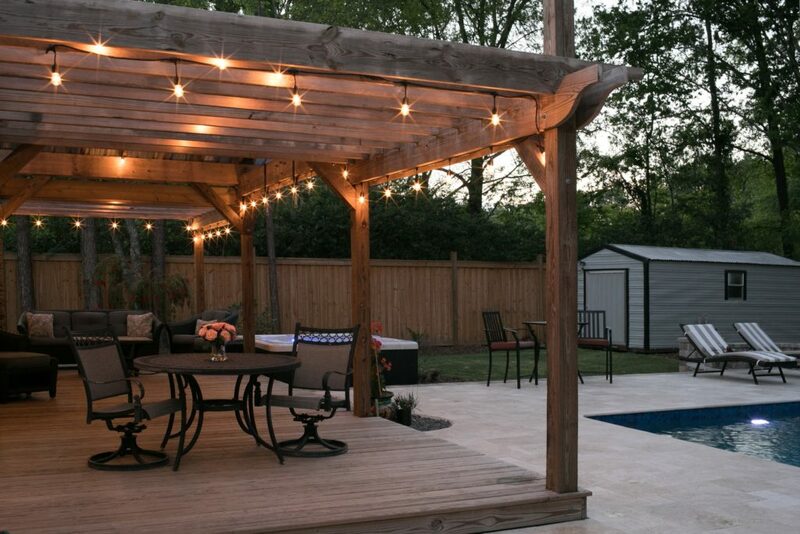 "They were competitive in their pricing, and they did not cut any corners in their workmanship. I was really impressed!" Eric L.